Strip markup from HTML text. Is there a better alternative to Strip HTML? 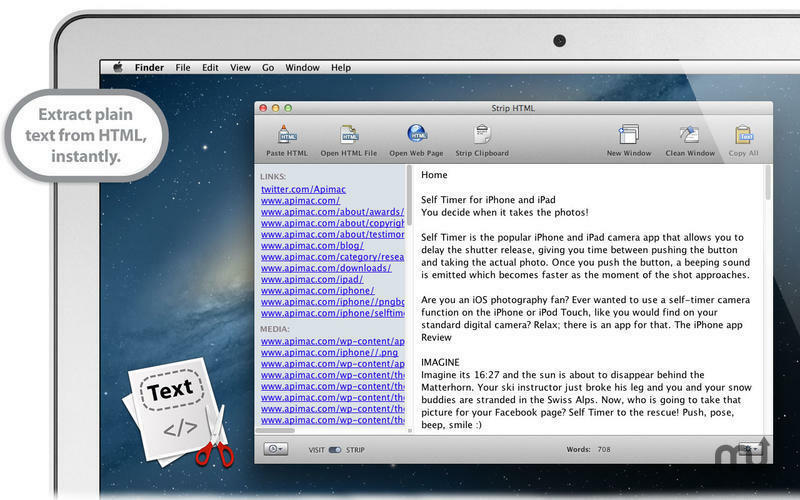 Is Strip HTML really the best app in Developer Tools category? Will Strip HTML work good on macOS 10.13.4? 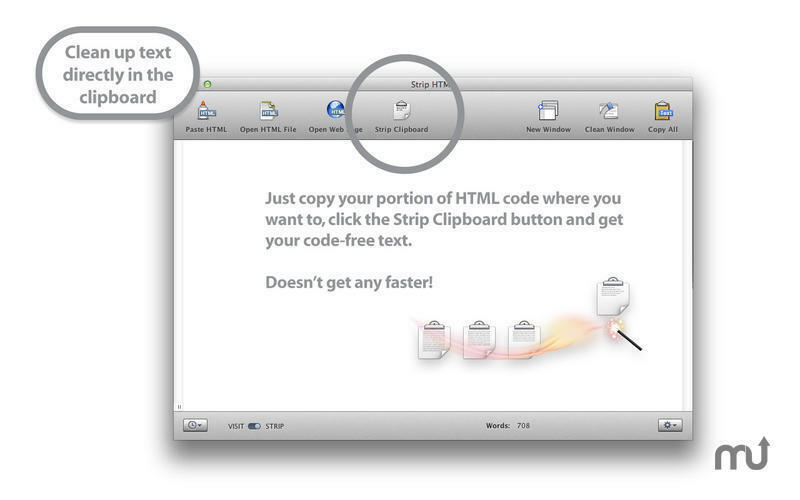 Strip HTML captures and cleans up text from any webpage and .html file, transforming it from HTML to plain text. 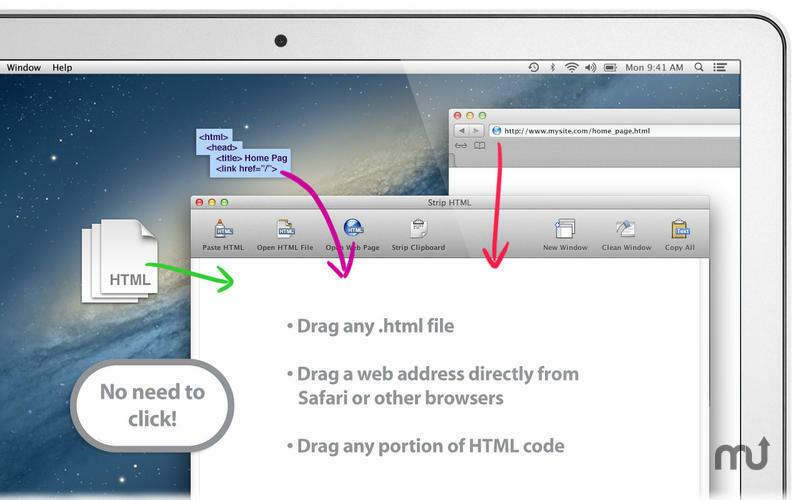 You can drag any HTML, a portion of HTML code, or a Web address from your browser to the app. 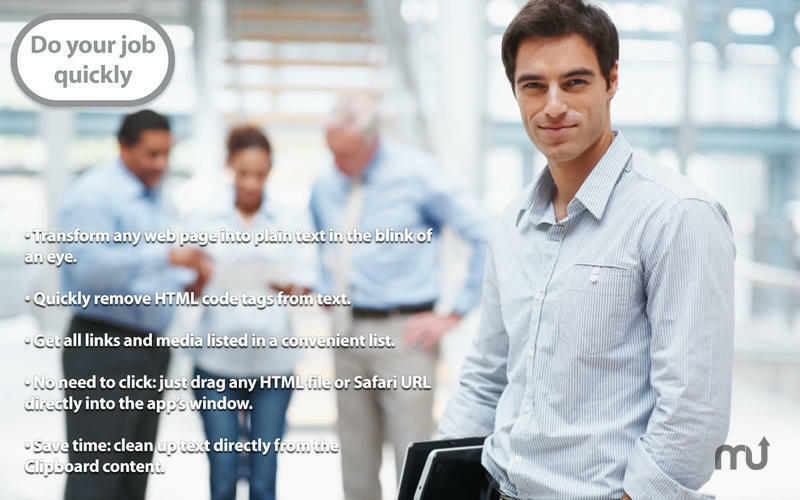 No clicking required, Strip HTML automagically cleans up your text. You can even clean up text that's on the clipboard before pasting. Note: The downloadable version is 1.0.0. The Mac App Store version is currently 2.0. 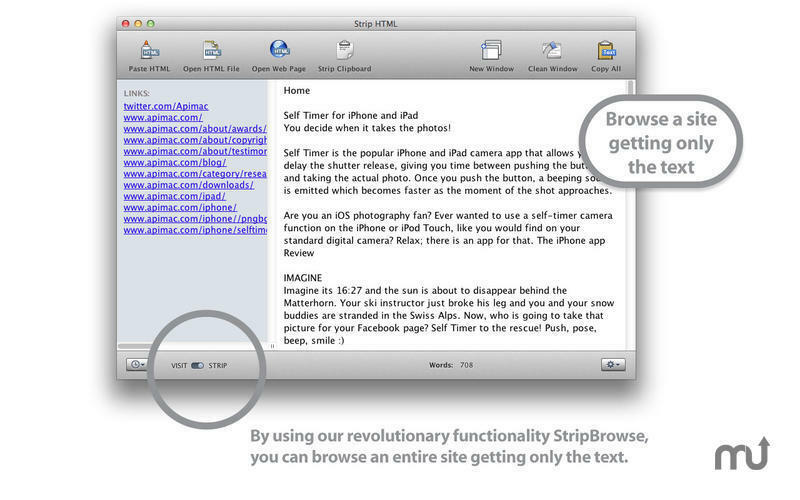 Use the revolutionary StripBrowse functionality to browse an entire site obtaining only the text and the links on the pages. Open as many windows as you like to manage multiple projects simultaneously. Strip HTML needs a review. Be the first to review this app and get the discussion started! Strip HTML needs a rating. Be the first to rate this app and get the discussion started! Retrieve all files opened previously with the new Recent menu. Copy quickly to Clipboard all the links of the processed code.